Battersea Arts Centre is a Grade II listed building located in Battersea. The venue was re-purposed as a performance space from its original use as Battersea Town Hall, and in recent years specialises in theatre productions. The building was designed in 1891 by E.W. Mountford and opened as the Battersea Town Hall two years later. The early history of the hall as public space was marked by the spoken recital of the famous essay, Why I Am Not A Christian, by Bertrand Russell. Following the end of its time as the town hall, the building was under constant threat of demolition. However, a successful campaign by the Victorian Society ensured its survival by getting a Grade II listed status. In 1974 the Battersea Arts Centre officially opened as a community arts centre specialising in the cultivation and presentation of artistic events. It has seen many successful plays performed at the theatre, most notably Punchdrunk Theatre Company’s performance of “The Masque Of The Red Death” by Edgar Allen Poe, which had an impressive seven-month run with over 400,000 people attending. Since the interactive production required the audience members to wear masks, several famous actors attended the play, including Joanna Lumley and Jeff Goldblum. In 2015, a major fire broke out during a renovation, requiring 12 fire engines and around 80 London firefighters to put it out. Despite this traumatic event, the Battersea Arts Centre still stands in fully refurbished condition, welcoming theatregoers from across the country. 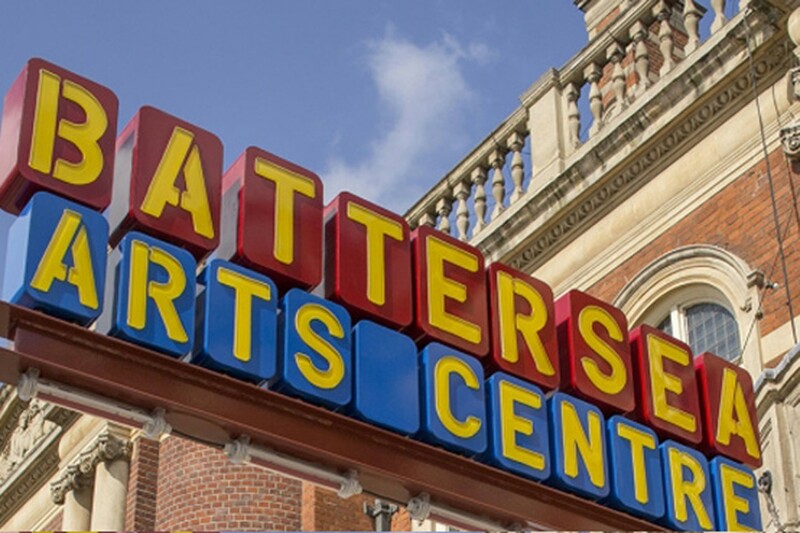 Battersea Arts Centre is a 8-10 minute walk from Clapham Junction station. The closest Underground stations to Battersea Arts Centre are Clapham Common (Northern line) and Stockwell (Victoria line) These stations are approximately a 15-20 minute bus journey away.